Edgemont Village 2 Bed 1.5 Bath 2 Lvl Townhome w/ Courtyards & Garden - $3590 — Lynn Swanson At a glance guide to all currently available fully furnished properties managed or represented by Sunstar Realty Ltd. Included items: fridge, stove, microwave, dishwasher, and washer & dryer. 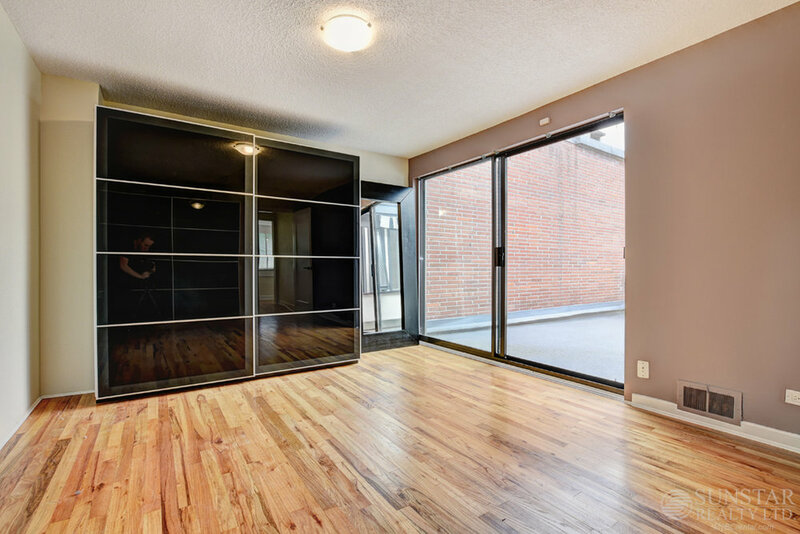 LOCATION: Townhome located in a private cul-de-sac just a couple of blocks from the heart of quaint Edgemont Village (with shopping and dining amenities). Live just minutes away from Capliano Canyon, Capilano Suspension Bridge, and within walking distance to Highland Elementary School, Cleveland Elementary School, Handsworth High School. There is easy transit nearby on Edgemont Boulevard to Downtown Vancouver. 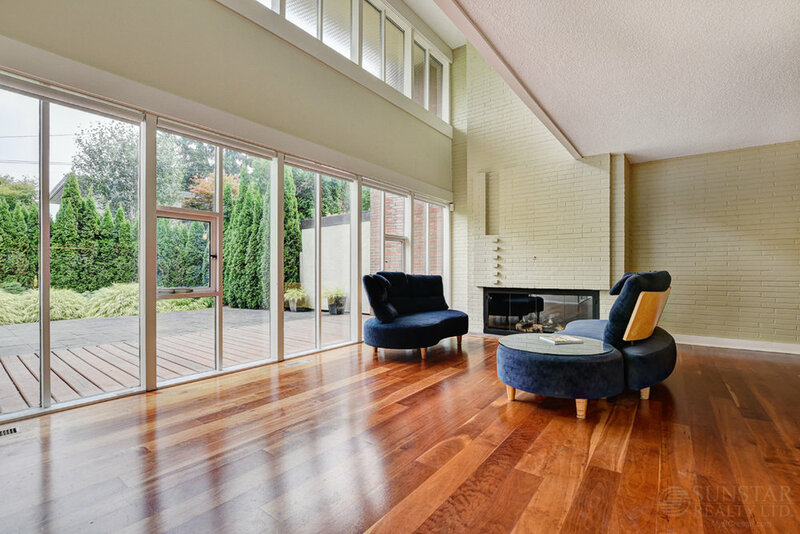 FEATURES: Beautifully presented 1950's Hollingsworth designed 1500 sqft townhome with stunning architectural features. Enter the foyer, and updated galley kitchen, featuring stainless steel cabinets and serving window, through to the formal dining area (with chandelier,) which opens onto the 20' living room with gas fireplace, 16' ceiling plus wall-to-wall windows. Living area has American Cherrywood floors throughout and new paint. Also on the main floor is a large storage space under the stairs, a powder room and a utility room/pantry lots of storage space and front loading wash and dryer. Upstairs is the 15' master bedroom with private rooftop deck, 2nd floor den (open space) and 2nd bedroom plus a 3 piece bathroom with cast iron tub. Outside enjoy an over 300 sqft private walled Californian-style courtyard leading to your own southerly facing private fenced garden with programmed irrigation system and patio. Parking in carport for one car undercover and space for guest parking. Edgemont Townhome For Rent - Sunstar Realty Ltd.